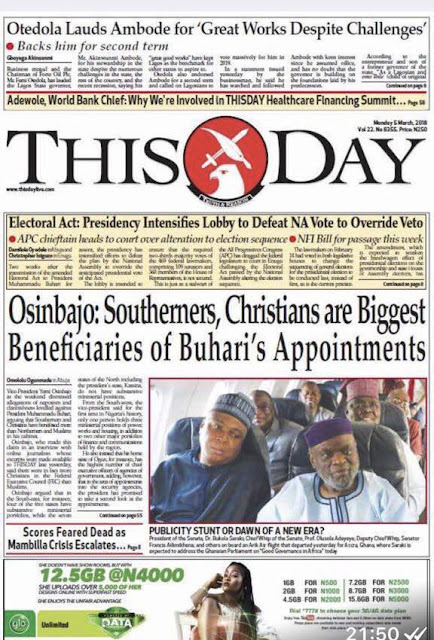 Home / nigerian politics / POLITICS / “I Am Stating Clearly Via This Medium That I’m Not Running For Office” – Femi Otedola. “I Am Stating Clearly Via This Medium That I’m Not Running For Office” – Femi Otedola. 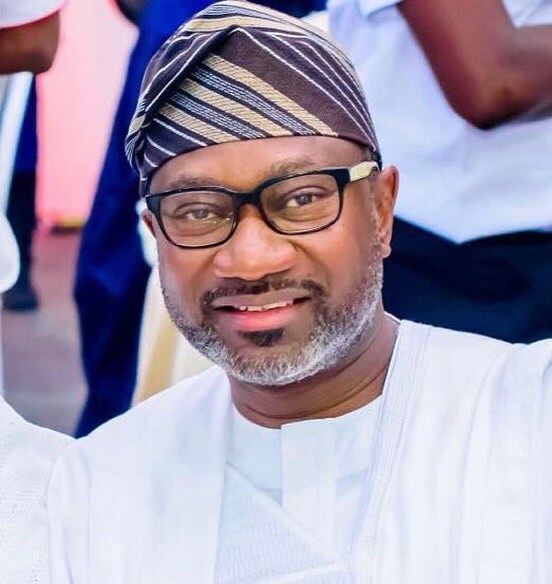 Following the news that hit social media few hours ago that billionaire oil magnate, Femi Otedola will be running for Governor of Lagos State come 2019, the businessman has come out to debunk the claims. 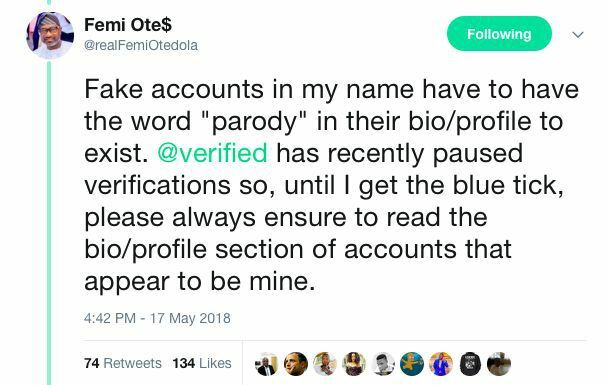 A particular news circulated around social media where it was purported that Femi Otedola declared his intention to run for governor of Lagos state come 2019. 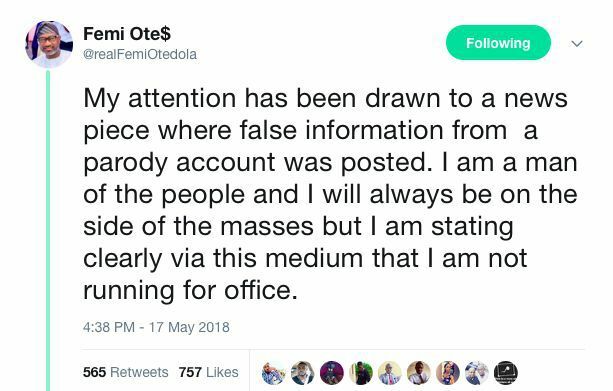 Well, Mr. Otedola has now via his Twitter handle stated that the reports were false and matter of factly, he has his full support for current Lagos State governor, Akinwumi Ambode as he says the governor has been doing a good job and he has his support for second term.